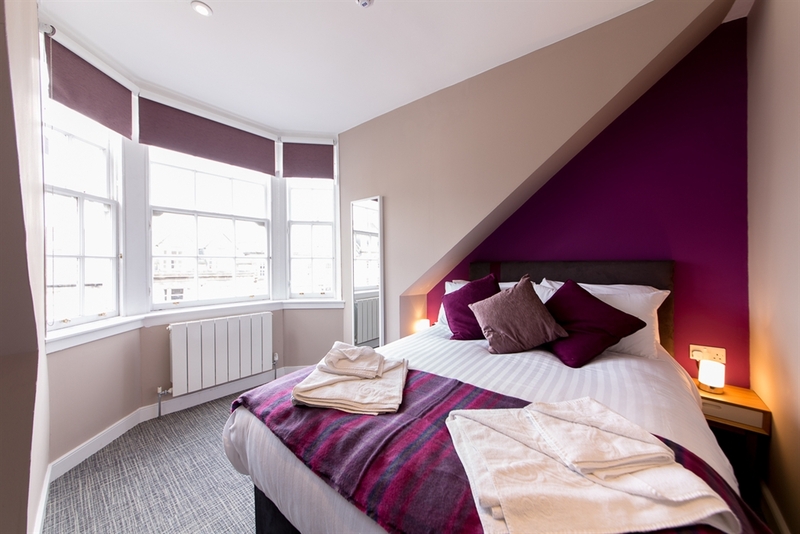 The Spires Serviced Apartments in Edinburgh are located in the heart of Scotland's capital with easy access to all parts of the city. 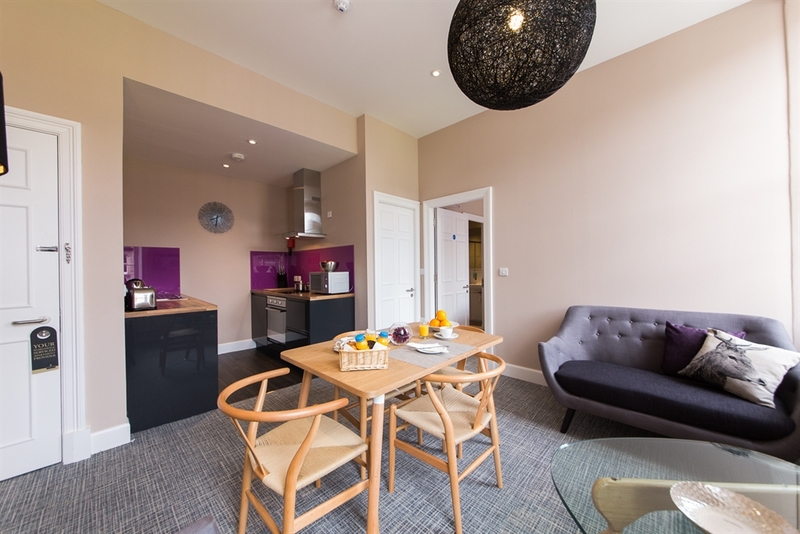 The Spires serviced apartments in Edinburgh provide guests with much more than a hotel bedroom: each apartment has a spacious open plan lounge/dining area with fully fitted luxury kitchen, bathroom with shower, and bedroom. 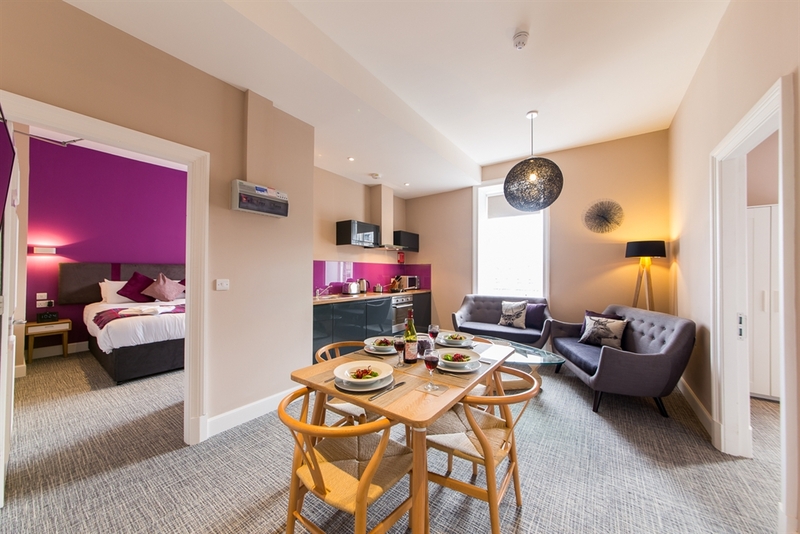 With a mix of studio's, one bedroom and two bedroom apartments we have an option to suit all, should you be travelling alone on business or with friends and family for leisure. 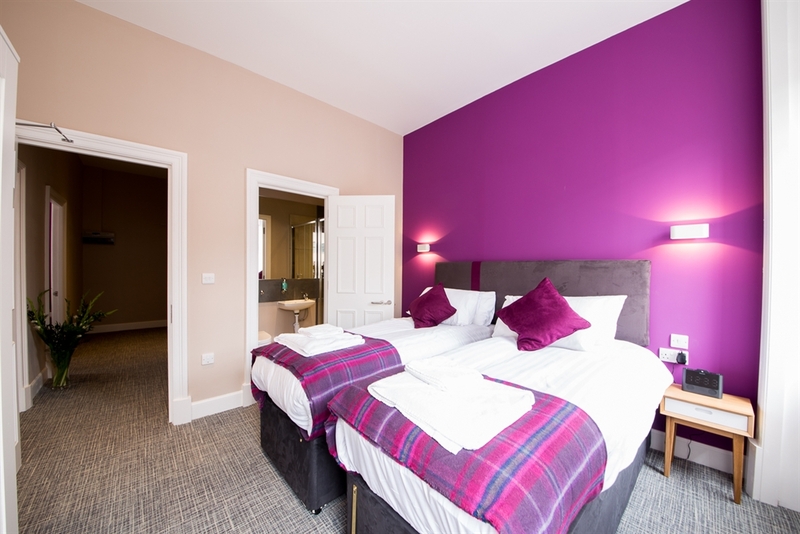 All our two bedroom apartments have en-suite facility in addition to the main apartment bathroom and our two bedroom plus apartment has an extra bed enabling 6 people to share the apartment. Our top floor apartments offer stunning views across the Firth of Forth. 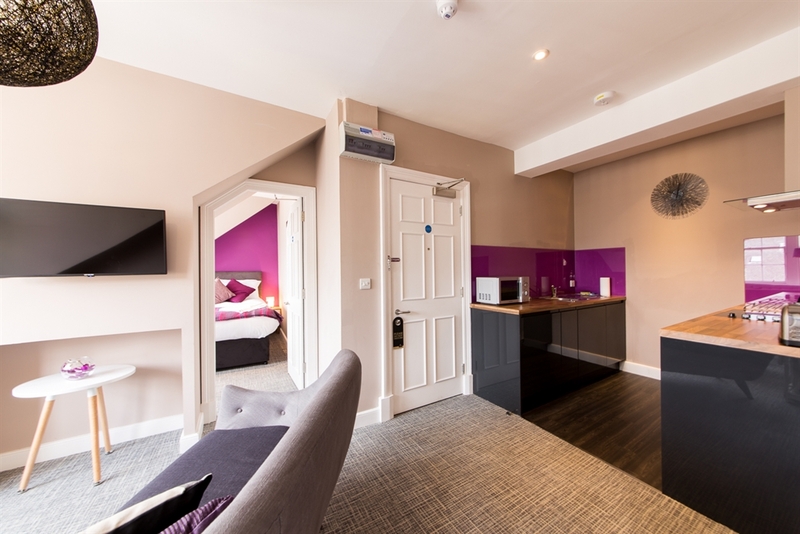 The accommodation is bright and spacious, tastefully designed and fully equipped to provide a relaxing haven from the hustle and bustle of the city. 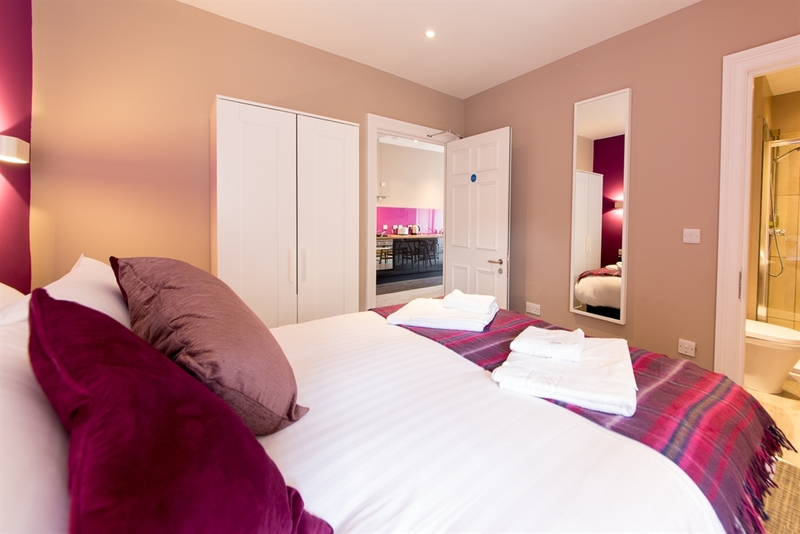 George Street is just a 1 minute walk away, and Princes Street just 2 minutes. 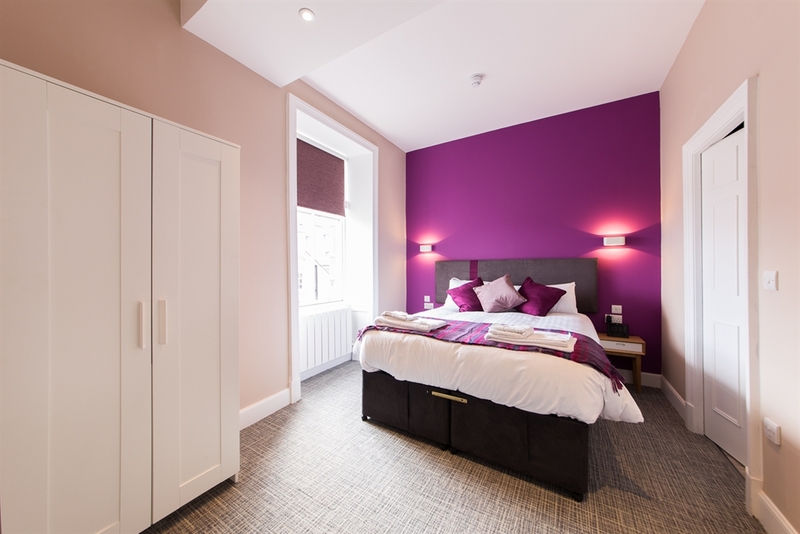 The apartments are easily accessed either by tram at St Andrews Square or by train at Waverley Station both located close by.